In a large bowl, add the mustard, tarragon, vinegar and whisk in olive oil. Add in salt and pepper to taste. 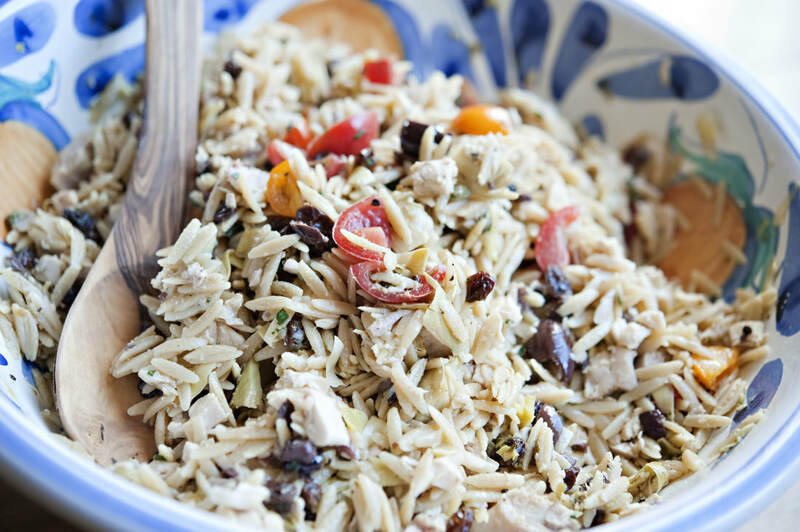 While the orzo is cooking (follow package directions), cut up the olives, and add them with the currants, capers, artichokes, chicken & tomatoes into the bowl with your dressing. Mix together. Once the Orzo has cooked and cooled, add it to your mixture and combine everything together. Add additional salt and pepper if needed. This was even better the next day once all the flavors had infused nicely!